When marine ecologist and a team of researchers completed the first ever map of ocean trash, something didn’t quite add up. 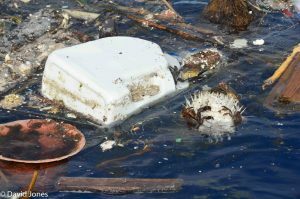 Their work, published this month in the Proceedings of the National Academy of Sciences, did find millions of pieces of plastic debris floating in five large subtropical gyres in the world’s oceans. But plastic production has quadrupled since the 1980s, and wind, waves, and sun break all that plastic into tiny bits the size of rice grains. So there should have been a lot more plastic floating on the surface than the scientists found. But where exactly is the unaccounted-for plastic? In what amounts? And how did it get there? “We must learn more about the pathway and ultimate fate of the ‘missing’ plastic,” Cozar says. One reason so many questions remain unanswered is that the science of marine debris is so young. Plastic was invented in the mid-1800s and has been mass produced since the end of World War II. In contrast, ocean garbage has been studied for slightly more than a decade. “This is new mainly because people always thought that the solution to pollution was dilution, meaning that we could turn our head, and once it is washed away—out of sight, out of mind,” says Douglas Woodring, co-founder of the Ocean Recovery Alliance, a Hong Kong-based charitable group working to reduce the flow of plastic into the oceans. 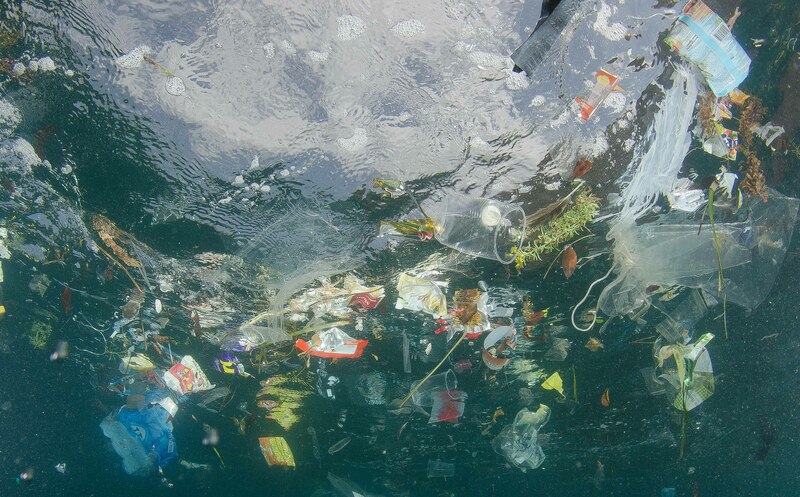 The North Pacific Garbage Patch, a loose collection of drifting debris that accumulates in the northern Pacific, first drew notice when it was discovered in 1997 by adventurer Charles Moore as he sailed back to California after competing in a yachting competition. A turning point came in 2004, when Richard Thompson, a British marine biologist at Plymouth University, concluded that most marine debris was plastic. Research on marine debris is also complicated by the need to include a multidiscipline group of experts, ranging from oceanographers to solid-waste-management engineers. “We are at the very early stages of understanding the accounting,” says Kara Lavender Law, an oceanographer at the Sea Education Association, based in Cape Cod, Massachusetts. “If we think ten or a hundred times more plastic is entering the ocean than we can account for, then where is it? We still haven’t answered that question. Law, along with Thompson, is one of 22 scientists researching marine debris for the National Center for Ecological Analysis and Synthesis at the University of California, Santa Barbara. The group is grappling with some of these questions and plans to publish a series of papers later this year. Tens of thousands of tons of plastic garbage float on the surface waters in the world’s oceans, according to researchers who mapped giant accumulation zones of trash in all five subtropical ocean gyres. Ocean currents act as “conveyor belts,” researchers say, carrying debris into massive convergence zones that are estimated to contain millions of plastic items per square kilometer in their inner cores. Cozar’s team was part of the Malaspina expedition of 2010, a nine-month research project led by the Spanish National Research Council to study the effects of global warming on the oceans and the biodiversity of the deep ocean ecosystem. Originally Cozar was assigned to study small fauna living on the ocean surface. But when tiny plastic fragments kept turning up in water samples collected by the expedition scientists, Cozar was reassigned to assess the level of plastic pollution. The two-ship expedition spent nine months circumnavigating the world. But Cozar also used data gathered by four other ships that had traveled to the polar regions, the South Pacific, and the North Atlantic to complete the map. See how scientists and artists have gathered and studied ocean debris to put the problem of trash into perspective. Cozar says that one answer to the missing-plastic mystery is that some of the tiniest bits of plastic are being consumed by small fish, which live in the murky mesopelagic zone, 600 feet to 3,300 feet (180 to 1,000 meters) below the surface. Little is known about these mesopelagic fish, Cozar says, other than that they’re abundant. They hide in the darkness of the ocean to avoid predators and swim to the surface at night to feed. One of the most common mesopelagic fish is the lantern fish, which lives in the central ocean gyres and is the main link in the tropical zone between plankton and marine vertebrates. Because lantern fish serve as a primary food source for commercially harvested fish, including tuna and swordfish, any plastic they eat ends up in the food chain.